Mackie today announces a powerful new compact subwoofer, designed specifically for use with the SRM450v2 — the Mackie SRM1801 Powered Subwoofer. The SRM1801 delivers the most power, output and low frequency extension in its class, offering tremendous value for any customer interested in adding massive low end to their portable PA system. It is also the first-ever subwoofer specifically designed to pair with the tremendously popular SRM450v2. 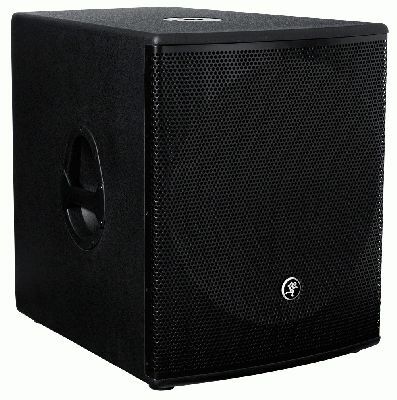 The Mackie SRM1801 Powered Subwoofer delivers 1000 watts of efficient Class-D power in a lightweight portable design. The 18˝ woofer delivers superior output and active electronics include a precision crossover and tuning filters, providing amazingly accurate bass response. The robust, solid-wood enclosure is covered with high-durability textured black paint and includes an integrated pole cup that’s a perfect fit for your portable full-range loudspeaker. The SRM1801 completes a lightweight, easy-to-use Mackie powered system. “It’s a powerful, plug-and-play solution for small clubs, DJs or anyone that needs massive low end.” concluded Young. The Mackie SRM1801 Powered Subwoofer will be available worldwide in June, 2010. The SRM1801 will have a U.S. MSRP of $879.99. It will be shown publically at the InfoComm Show at Booth #C7390 and Demo Room #N112 from June 9-11, 2010 in Las Vegas, NV.